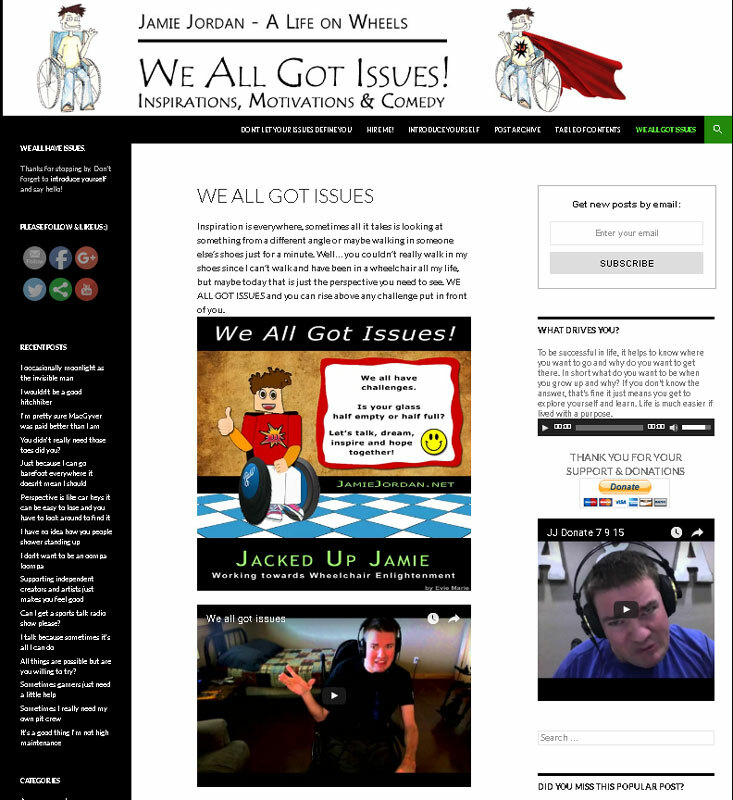 Jamie Jordan is a radio voice personality, comedian, writer and entrepreneur. He also happens to be confined to a wheelchair with severe cerebral palsy. Jamie uses his blog as a way share inspirations, motivations and comedy, along with a real world education of what living is like on wheels. We worked with Jamie to set up his blog (http://jamiejordan.org) and are also currently helping him with blog illustrations as well as turn his writings into a few soon to be published books. Keep your eye open for those! While Jamie very occasionally calls us for assistance, he runs and operates his site with ease. We are happy to be on his team. Check out what he has to say and give him a shout!